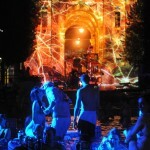 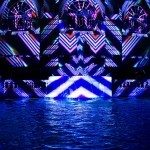 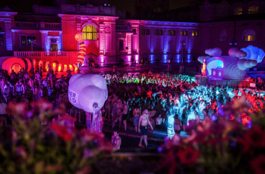 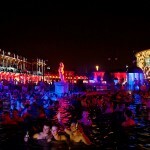 Water Circus Sparty in Szechenyi Bath is the most amazing bath party of the year: VJ disco with spectacular circus show and laser beams mapped on the walls of Szechenyi Spa Baths, Budapest. 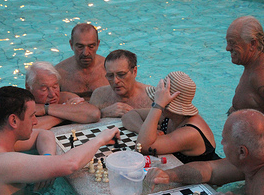 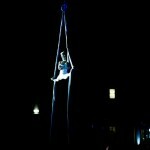 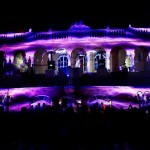 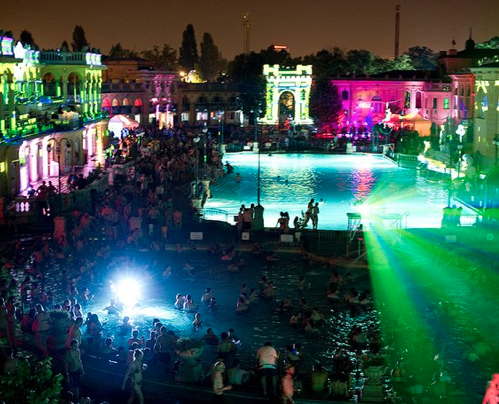 Water Circus party is considered to be the Number 1 Hungarian party by both locals and foreigners. 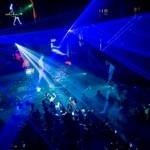 Forget the party hats and party poppers! 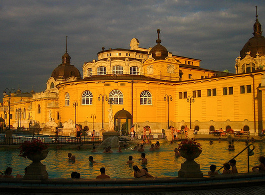 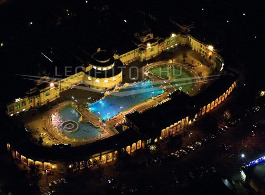 Get a swim suit and splash in the geothermal waters of the open air pools in the Neo-Baroque Bath Palace in Budapest. 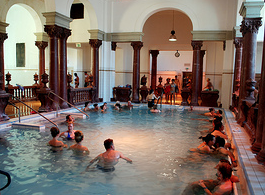 Feel the rhythm, enjoy the unparalleled visual effects, and be part of the spa party that incorporates future and past, body and mind, spa and bath.